August was a very busy month for our club. As always, our CMIRC puts service to our community first. There are stories in this Bulletin detailing what has been accomplished, but I’d like to give the reader a small taste of what we have done in August. Under the leadership of our new Service Projects Committee Chair, Rtn. William Churchill, we are developing an improved system of project reporting and assessment. All of our projects reported that they been very busy this month. A group of club members and prospective members visited our project partners at the Mae Tao Clinic in Mae Sot, Tak Province. While there, we learned a great deal about what will be needed in the coming years to serve the refugee population on both sides of the Thai-Burmese border. The health and education needs are great and available funding sources are dwindling. So, in all probability CMIRC will take the lead for the development of a Rotary International Foundation Global Grant Application. The CMIRC Board has already approved our club-level matching funds for the project. Project Champion PP. Jerry Nelson is developing the international contacts needed and is narrowing down the specific focus of the project to be proposed. The Burma Children Medical Fund B.K. Kee Patent House team, led by Rtn. Gary Herman, sponsored a wonderful Mother’s Day Celebration for the families temporarily living at the house while their children are being treated for their serious medical conditions at the specialty clinics available here in Chiang Mai. Finally, the CMIRC-Kru Payu Children’s Water Safety and Drowning Prevention Project, in cooperation with the Safe Child Thailand U.K.-based foundation and the Rotary Club of Patong Beach, held certificate ceremonies for almost two-hundred, 4th-graders who had completed 15 hours of survival swimming and water safety instruction in Chiang Mai and Patong Beach, Phuket Province. These programs are entirely free for the children with all funding provided by the CMIRC (P John Schorr, Project Champion), Safe Child Thailand Foundation, and the Rotary Club of Patong Beach (Rtn. 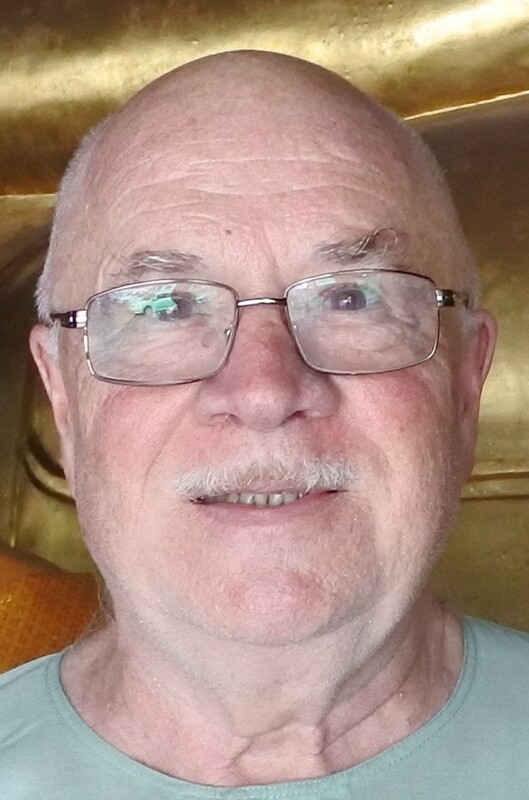 Larry Amsden, Project Champion). As if all of the above were not enough, during the month of August, we have made great progress for the establishment of a CMIRC-sponsored Interact Club at the Chiang Mai International School, under the leadership of Rtn. Mike Gholson, and a CMIRC-sponsored Rotaract Club to be based at Payap University under the leadership of Rtn. William Churchill. 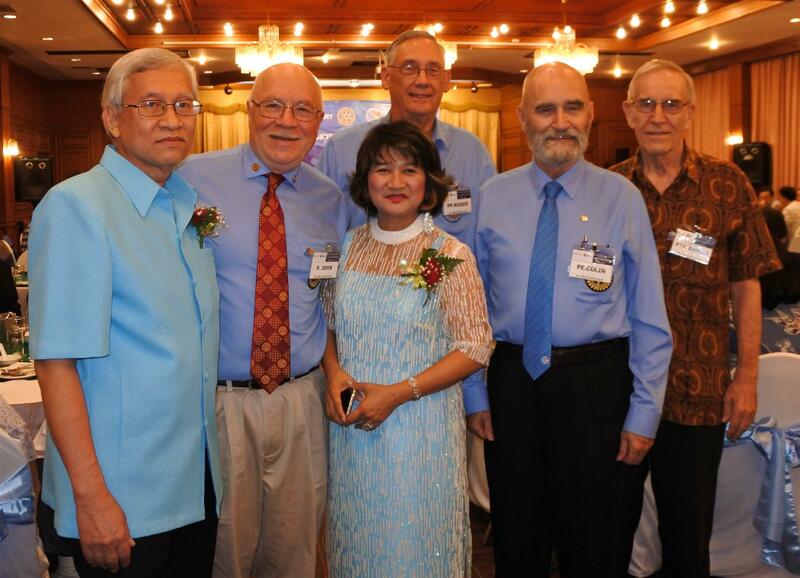 Of course, all of our service requires the support of our larger Thai Rotary network. Our club tries to participate in the International, National, and District Meetings and Training Conferences. This month P John, CP Roger, PE Colin and prospective member Clarence (shown right with DG Roongranee and her husband Khun Artit Sangsiri) attended the District 3360 Training for Membership, Foundations, and Public Image in Phrae. These conferences provide a wonderful opportunity to learn what other Rotary clubs are doing and to learn what new ideas are being developed at all levels of Rotary International. Our Fundraising Committee led by PP Shana Kongmun, ably assisted by Rtn. Nancy Lindley, is busy planning for a Burmese Culture Night at Pern’s Restaurant, the Citylife Garden Fair Booths we will have in their "second hand" sale area, and a major entertainment event in November (more on that later!). Finally, we conducted a club membership satisfaction survey in July and August to learn what needs to be improved in our club and what our members value the most about CMIRC. We were not surprised to learn that opportunities for service and friendship were two of the most satisfying aspects of membership in CMIRC. We also learned that we need to make some improvements in our meeting space, especially the acoustics. As the reader can see, we are doing a lot, especially if you consider that we only have 21 members! So, the message this week ends with an appeal to our readers. If you live in Chiang Mai or know someone who does, and you think they would be a good candidate for membership in our club, please let me know: john@cmirotary.org. Or, if you would like to make a financial or in-kind contribution to our club’s activities (we need household items and nice clothing to sell at the Citylife Garden Fair), please contact us as well.